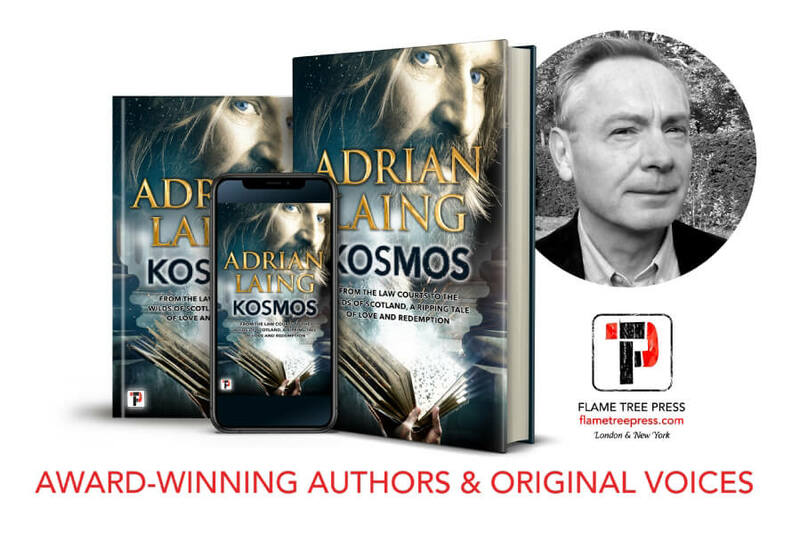 Adrian Laing has concocted a tale of awe-inspiring wonder. The cover is awesome, but the story is beautiful. I don’t read the synopsis before I start books; I go by the book cover alone. It makes the reading experience more exhilarating. I like to live dangerously. For me, KOSMOS is one of the biggest surprises of 2018. KOSMOS starts out in 2001 where a homeless man is arrest by two dog patrollers. The oddly-dressed homeless man resists and struggles, resulting in his arrest and a minor assault charge. When the victim of the assault unexpectedly dies the homeless man is charged with manslaughter. The old homeless man is represented by rookie barrister George Winsome. To top it off, the man thinks he is Merlin. Yes, the wizard. Heather (George’s partner) finds out she is pregnant during the trial. KOSMOS is a compelling courtroom drama, but it’s also a touching tale of finding your way. Merlin wins the hearts and minds of his fellow inmates and the prison staff. The trial is a bit farcical, which makes for some good laughs. At times, the story seemed a bit flat, though. But once you get into the latter third of KOSMOS, it really takes off. The third act is worth its weight in gold. The pay off is well worth it. The homeless man’s true identity is revealed. George and Heather’s life path becomes abundantly clear, too. Adrian Laing can write great prose. He grabs you by the tie and pulls you into the story. The story is solid, but it does tend to slow down a bit here and there. I really enjoyed the characters. The characterization is unbelievable. The ending is everything. Rookie barrister George Winsome, young and arrogant, defends an old boy who thinks he’s Merlin on a manslaughter charge. The riotous trial turns Merlin into a celebrity; money, greed and ambition take hold of George and his partner Heather until the secret of Merlin’s past is revealed as the spirit of Saint Yves intervenes to ensure George and Heather follow their true paths. 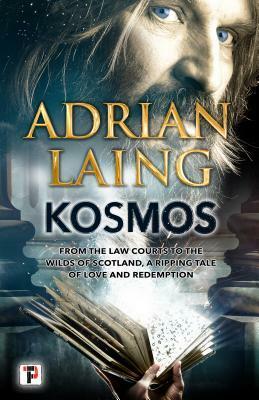 ‘Kosmos’ is a modern-day jury trial, a feel-good love story and a spiritual journey involving Saint Yves, Nemesis and Merlin. FLAME TREE PRESS is the new fiction imprint of Flame Tree Publishing. Launching in 2018 the list brings together brilliant new authors and the more established; the award winners, and exciting, original voices.